Long before the establishment of the Hong Kong Institute of Surveyors (HKIS), a group of both local and expatriate professional land surveyors decided to provide a professional forum for all land surveyors in Hong Kong, and thus they established the Hong Kong Institute of Land Surveyors (HKILS) in 1976. Hong Kong was only one of the very few places without a land surveying ordinance or any relevant ordinance. Hence, in 1977, HKILS suggested the introduction of legal measures to improve the system in Hong Kong. In 1984, HKILS was formally recognized by the government as the only professional body representing the professional land surveyors, when the HKIS has just been established by a group of surveyors of various disciplines. 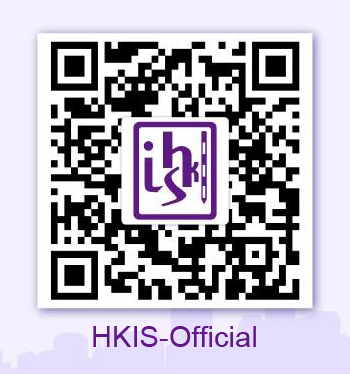 HKIS was also formally recognized by the government the next year. Corporate membership of the HKIS had also been recognized as a suitable qualification for appointment to the relevant grades and post in the civil service. The increase in the number of land surveyors joining HKIS eventually urged HKILS to amalgamate with HKIS in 1991. In the same year, with the effort of land surveyors to fight for a local land surveying degree course, the Hong Kong Polytechnic (now known as the Hong Kong Polytechnic University) had successfully started a degree course in land surveying. In 1994, the first batch of graduates in Land Surveying and Geo-informatics was produced. The year 1997 was a year of historical significance for Hong Kong and was a busy year for land surveyors. Land surveyors working in the government had carried out joint survey with China for fixing the boundary of HKSAR. In 2000, the Division has been dominated by two main issues, namely the proposed Corporatisation of the Survey & Mapping Office and the Land Titles Bill. Great studies have been made in the past 27 years. More achievements will be made with the members' ongoing support. 1995 The Legislative Council passed the Land Survey Ordinance. It requires the Administration to consult HKIS for any amendments to the Ordinance and the Code of Practice. 1996 The Land Survey Ordinance became operational on 15 January 1996. Three HKIS LSD members began to serve on the Land Surveyors Registration Committee. 1999 Regarding the Assessment of Professional Competence, LSD issued the Notes for Guidance of Employers, Supervisors and Counsellors in June 1999. The Rules and Guide to Assessment of Professional Competence, which defines the training scheme of student members, was revised and implemented on 1st August 1999. In November 1999, at the 6th South East Asian Surveyors Congress (SEASC) held in Fremantle, Perth, Australia, HKIS has successfully bidden for the hosting of the 7th SEASC in Hong Kong in 2003.